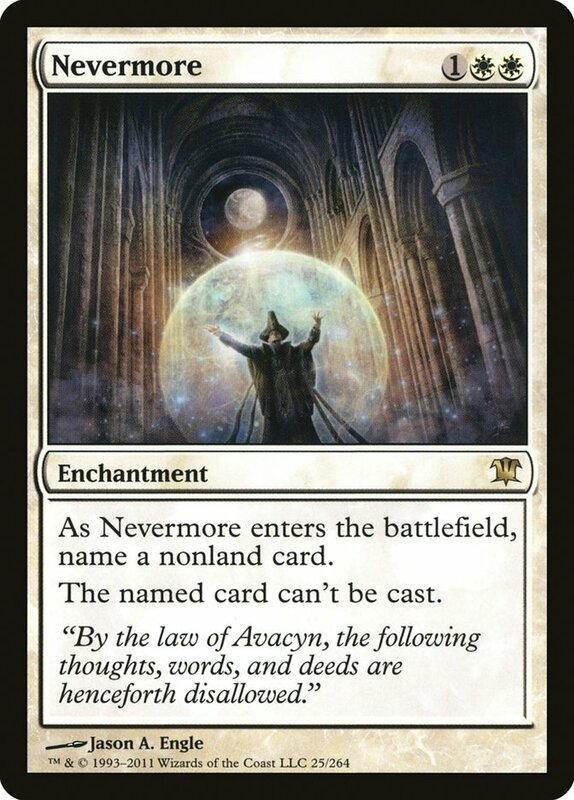 Card Text: As Nevermore enters the battlefield, name a nonland card. Oracle Text: As Nevermore enters the battlefield, choose a nonland card name. Flavor Text: "By the law of Avacyn, the following thoughts, words, and deeds are henceforth disallowed."